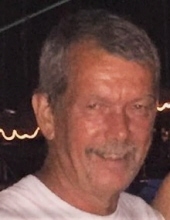 Timothy J. Weidner, 64, passed away at his residence in Big Torch Key, FL on March 18, 2019. He was born on October 7, 1954, a son of the late Jerry, Sr. and Phyllis Harm Weidner. He was preceded in death by two sisters, Cynthia J Gilroy and Pamela S. Neal, and a niece, Alexis Weidner. Tim is survived by a sister, Karen (Mike) Pence, four brothers, Jerry (Peg) Weidner, Mark Weidner, Chris Weidner, and Jeff Weidner, brothers-in-law, Dan Gilroy and Jerry Neal and many nieces and nephews. Tim has a special daughter, Brandy Weidner, and stepson, Chad Minnich, four step grandchildren, Dakota, Ciarra, Alex and Teah. Tim graduated from Indian Lake High School in 1972. He worked at United Tool and Machine for 25 years. He then moved to Big Pine Key and later to Big Torch Key in Florida. Graveside services will be 1:00 pm, Wednesday, April 3, 2019 at Huntsville Cemetery. To send flowers or a remembrance gift to the family of Timothy J Weidner, please visit our Tribute Store. "Email Address" would like to share the life celebration of Timothy J Weidner. Click on the "link" to go to share a favorite memory or leave a condolence message for the family.